For eleven years at "Linda's Backstage" we were tucked away behind the Newtown Hotel in the good ol' bad ol' days of Dawn, drag & disco. 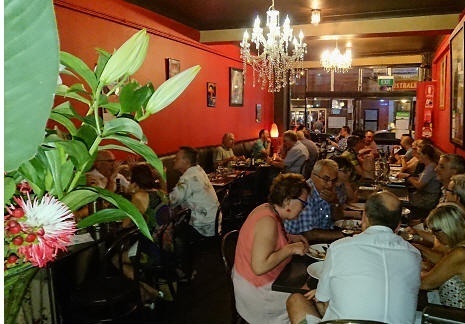 Now with 12 years on King St. Linda is still providing locals & more with the kind of dinners they love, giving classic dishes a modern twist. There is limited street parking around the Restaurant but no on-site parking. Please be aware that King St is a clearway between 3pm & 7pm going south and 3pm & 5.30pm going north.